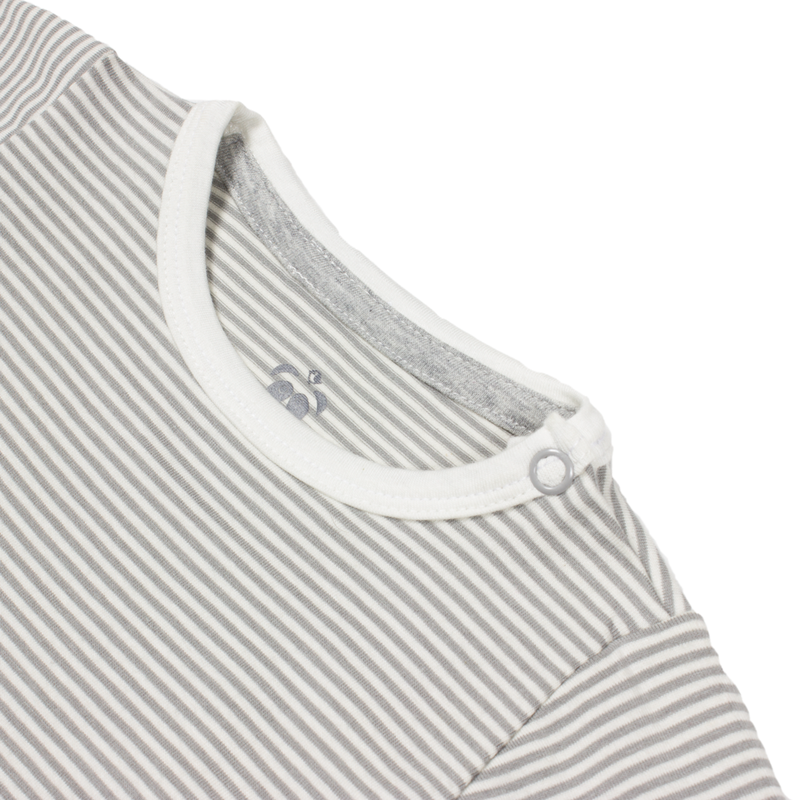 This super cute fine stripe in grey and natural is the perfect unisex style – great for night and day worn on its own or under something. This new long sleeved body is the perfect basic BUT with all of Bamboos properties trimmed with natural undyed bamboo to make it even more versatile. The fine stripe is also available as part of a Gift Set.